I flew the Extra 300L to Boeing Field (KBFI) in Seattle from its winter home at Boulder City, NV (KBVU) on June 17, a little later than usual for the summer flying season in Seattle, but then spring and summer have been tardy arriving in Seattle (and the Pacific Northwest) this year, too. The trip is always interesting because it takes you from the moonscape that is the desert of southern Nevada to the lush Pacific Northwest. I usually fly follow a route up the east side of the Sierra Nevada and Cascade Mountains, crossing to the west near Portland (see chart at RunwayFinder.com). I stop for fuel at Reno-Stead (KRTS) and Bend, OR (KBDN). Because a layer of solid clouds lay over Portland and Seattle, this year I cut through the Columbia River Gorge and stayed low between Portland and Seattle. Reno-Stead airport is usually a quick and easy fuel stop. This year, folks who run the Reno National Championship Air Races were holding a Pylon Racing Seminar, which includes practice laps by aircraft in all the racing classes. The ramp was crowded with unlimited racers, including several P-51s; biplanes; and tiny purpose-built Formula One monoplanes. 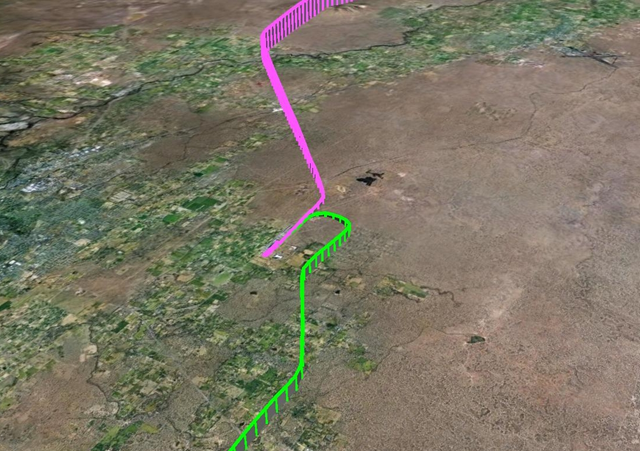 I knew about the practice sessions via a NOTAM, and I had to circle briefly to await a gap in the action so that I could land. I also had to hold for takeoff while several racers-in-training flew low and fast around the pylons that mark the race course over the airport. The flight from Reno to Bend was routine, if a bit chilly at 8,500 and 10,500 (the Extra doesn’t have a heated cockpit). After a fuel stop at Bend, I aimed north to enter the Columbia River Gorge west of The Dalles, and I turned north abeam Portland. 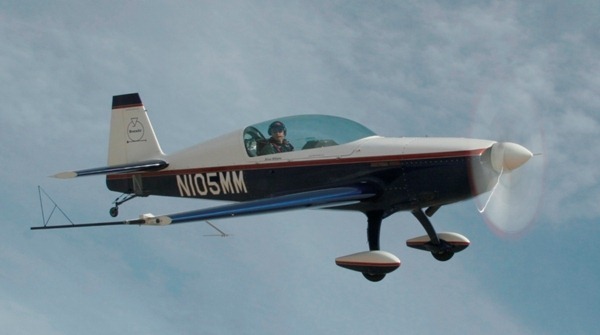 To learn more about stall/spin training and aerobatic rides, visit www.BruceAir.com.